• Eidah (unit) – each child will be part of an eidah, made up of two grades that share a curriculum and come together for special programs and community time. • Bayit Time-in their bayit, children will have their core learning block and community time which consists of other children from their grade, madrichim (teen assistants), and a teacher to guide their experience. • Chugim (Electives)-children will choose an elective that sparks their passion and mix with children across their eidah. Each session of chugim will be based on the same Jewish content, but modalities will range from cooking to STEM to arts and more! • T’fillah- children will pray together with Temple Sinai’s clergy with songs, prayers, and stories tailored to each age group. Noar Sunday gives us the opportunity to involve parents in new and relevant ways. Be on the lookout for information throughout the school year. Read below to learn more about the experience for each eidah! Also take a look at NOAR Hebrew below for 3rd through 6th graders! • Students will get to know Adam and Eve, Abraham and Sarah, Moses and Miriam, and more along their journey through the Torah. • Acting, art, stories, STEM, and numerous other techniques will bring the learning to life and reach students with all types of learning styles. • Uses the value of “Love Your Neighbor” as the frame to explore of people and places around the synagogue, holidays, Israel, and more. • All about Shabbat, why do we have a day of rest? What makes Shabbat special from all other days of the week? • What does it mean to be part of a Holy Community-a Kehillah Kedoshah? Be sure to also check out SCRAPPY, Temple Sinai’s youth group for Kindergarten and 1st graders! • Journey through the Jewish calendar, rituals, feasts, fasts, celebrations, and more. • Children will experience the holidays with all their senses, through cooking, art, music, small group challenges, maybe even some shofar blowing! Chaverim children are also a part of Club 23, Temple Sinai’s youth group for 2nd and 3rd graders. • What is my relationship with God? When do I feel spiritual? The approach our curriculum takes begins with a personal reflection of these questions and others, then layers on top of it different Jewish ideas about God. Through this process, children’s ideas can evolve and deepen. • Experience the Jewish lifecycle including birth and baby naming through growing up and leaving home to marriage, conversion, and more. • Take a deep dive into the history and formation of the State of Israel. • Explore the people and culture of the Jewish homeland. • Build a personal relationship and connection with the State of Israel. Also be sure to check out Club 45, Temple Sinai’s youth group for 4th and 5th graders! The 6th grade program is designed as a bridge to help pre-teens transition from the youth realm to the teen community and the more mature identity-building that comes with it (hence the eidah name Zehut, which means identity). • What is Am Yisrael (the Jewish People) and how do I fit into it? • Comparative Judaism-what does it mean to be a Reform Jew, Conservative Jew, Orthodox Jew, etc. • The constant evolution of Reform Judaism (the role of women, especially women as clergy, changing worship styles, and more). • Jewish diversity-how do Jews of Color, interfaith families, and other groups add richness and strength to the Jewish People? • Which Jewish texts might speak to me? We will explore Pirke Avot, a book of wisdom and ethical teachings that is especially age-appropriate for teens. Another highlight of the 6th grade experience is a brand new “In Town Retreat” that will kick off the year with community building and memory-making at an overnight experience. As the transition year between Noar and teen programs, 6th grade will join Sinai678, Temple Sinai’s youth group for middle schoolers. Beginning in 3rd grade, children add one of our three Hebrew options to their Noar experience. We teach Hebrew through prayer and focus on reading fluency, synagogue participation skills as well as the meaning of the prayers. Our goal is for students to be able to lead and participate in prayer with their community, have an understanding of the prayers and be able to connect to them on a personal level. Our engaging curriculum ensures that our students master their Hebrew skills and gain meaningful connections to the prayers. 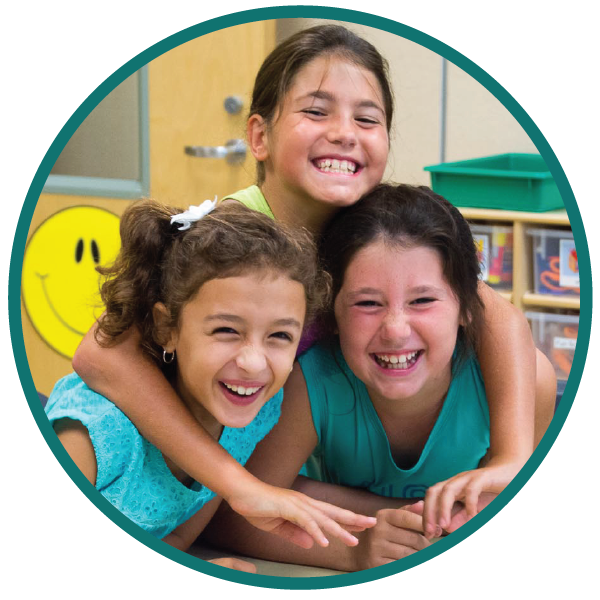 We have three options for our Hebrew Program to meet your family’s needs. We strive to make it accessible and convenient while maintaining our goal of creating a strong learning community. 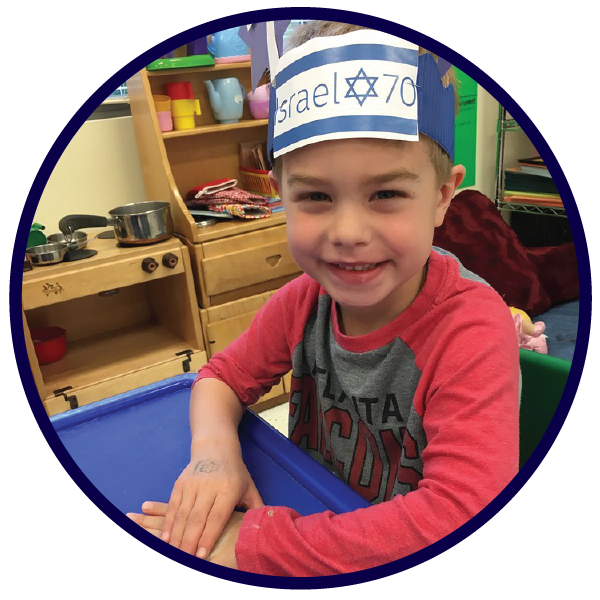 Our students who attend this program meet at Temple Sinai in grade level classes of up to 15 students. There is an opportunity to build community with a larger group, as well as benefit from additional resources such as madrichim (teen assistants) and a Hebrew Resource teacher who can pull students out to work one-on-one or in small groups. This experience provides a feeling of excitement and success as we learn and practice together as a community! After Noar Sunday, Sunday Hebrew students stay and have lunch together and a break for some social time, then have class from 12:45 to 1:45. Note: We no longer offer Tuesday or Wednesday afternoon traditional Hebrew School. Those programs have evolved into Hebrew Chavurah groups that happen to meet at Temple Sinai. If you are looking for a weekday option at Temple Sinai, please sign up for Hebrew Chavurah (see option 2 below). Groups scheduled throughout the week after school in various neighborhoods! Our Hebrew Chavurah program consists of small groups of 3-6 students who will meet weekly for Hebrew instruction in homes, community centers, or other local schools. Students in the Hebrew Chavurah program will be placed in small groups based on grade, location, day and time and Hebrew levels (if possible). 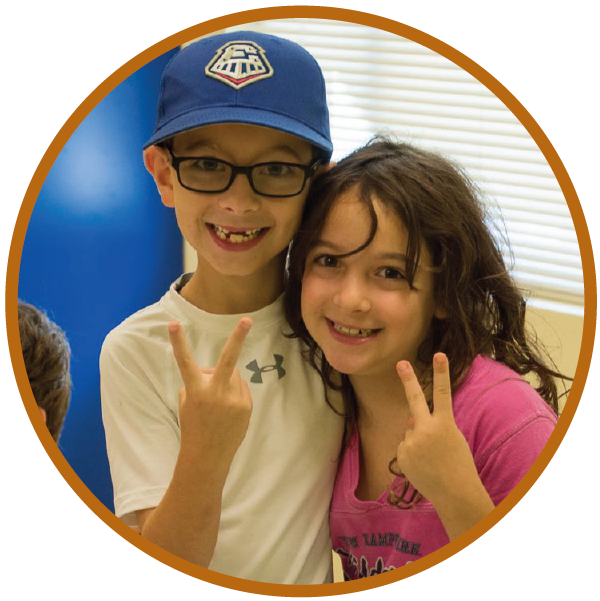 Students in Hebrew Chavurah will get the benefit of small group instruction, forming connections and bonds with the other peers in their group and of course their teacher! We offer the option of getting a private tutor (from the approved tutor list) if neither the Sunday Hebrew or Hebrew Chavurah program works for you. If you are considering this option, we suggest you speak to Emily Cohen or Marisa Kaiser prior to registering to ensure it will accomplish your goals for your child.